What is the most important information I should know about ribavirin? You should not use ribavirin if you have autoimmune hepatitis, severe kidney disease, or a hemoglobin blood cell disorder. Ribavirin is not effective when used alone. It must be used together with an interferon alfa product. You should not take ribavirin with didanosine. 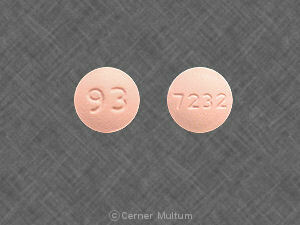 Ribavirin can cause birth defects or death in an unborn baby. Do not use this medicine if you are pregnant, or if you are a man and your sexual partner is pregnant. Use 2 forms of birth control to prevent pregnancy while either sexual partner is taking ribavirin, and for at least 6 months after treatment ends. 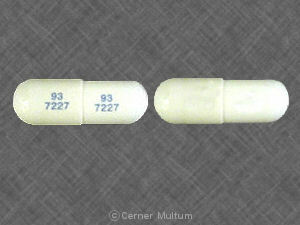 Ribavirin is an antiviral medication. Ribavirin must be used together with an interferon alfa product (such as Pegasys, PegIntron, Sylatron, or Intron A) to treat chronic hepatitis C.
Ribavirin may also be used for purposes not listed in this medication guide. What should I discuss with my healthcare provider before taking ribavirin? 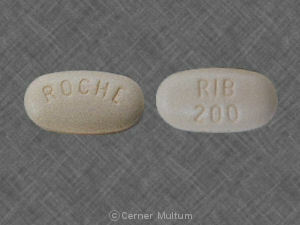 Ribavirin can cause birth defects or death in an unborn baby. You may need to have a negative pregnancy test before taking this medicine and every month during your treatment. If you are a woman, do not take ribavirin if you are pregnant. If you are a man, do not take ribavirin if your sexual partner is pregnant. An unborn baby could also be harmed if a man fathers the child while he is taking ribavirin. Ribavirin is not approved for use by anyone younger than 3 years old. How should I take ribavirin? Ribavirin is not effective when used alone to treat hepatitis C. It must be used together with an interferon alfa product. Do not crush, chew, break, or open a ribavirin capsule. Swallow it whole. Tell your doctor if you have trouble swallowing the capsule. Use ribavirin regularly to get the most benefit. Get your prescription refilled before you run out of medicine completely. Drink extra fluids while you are taking ribavirin to keep from getting dehydrated, especially during exercise or in hot weather. Ribavirin can cause dry mouth, which could lead to tooth decay or gum disease. If you vomit while taking ribavirin, rinse your mouth out with water to prevent damage to your teeth or gums. Be sure to have regular dental exams while you are taking this medication. Store ribavirin tablets or capsules at room temperature away from moisture, heat, and light. Store ribavirin liquid (oral solution) in the refrigerator. Do not allow it to freeze. What should I avoid while taking ribavirin? What are the possible side effects of ribavirin? Ribavirin can cause anemia. In rare cases, this can lead to fatal heart problems. Get emergency medical attention if you have chest pain. other signs of low blood cell counts --fever, chills, flu-like symptoms, swollen gums, mouth sores, skin sores, easy bruising, unusual bleeding, feeling light-headed. What other drugs will affect ribavirin? Your pharmacist can provide more information about ribavirin. Copyright 1996-2017 Cerner Multum, Inc. Version: 7.01. Revision date: 11/6/2015.